High in Protein Made with Both Milk Proteins and Plant Based Proteins. High Protein Balls By Body Science are a Yummy treat no mater what you do . When you’re on the go! High Protein Balls good protein low carbohydrate. In today’s hectic world it can be tricky enough planning 3 healthy meals a day, let alone organising nutritious snacks as well. Body Science High Protein Balls are a convenient, tasty, nutritious snack that you can eat on the run. 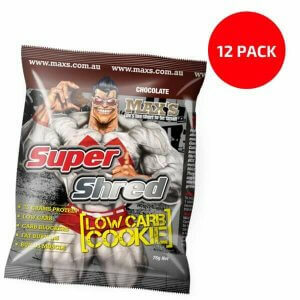 Designed for males and females, athletes, bodybuilders or anyone looking for a high protein, low carb snack, Body Science High Protein Balls taste great and won’t disappoint. Frequent ingestion of high quality protein sources throughout the day is important if you want to maximise lean muscle mass. Protein synthesis is a continuous activity that requires a balanced supply of amino acids (3). Consuming high quality protein sources throughout the day helps maintain blood amino acid concentrations and helps increase protein synthesis (3). This is of obvious benefit to those wanting to maximise their lean muscle mass, and is also useful for those looking to get in shape. Let’s remember that for anyone looking to shed those extra kilos, it’s fat that you want to lose. If you lose muscle mass during energy restriction your metabolic rate will drop, making it increasingly difficult to lose the desired body fat. Lean muscle tissue burns calories and helps ensure your metabolic rate remains high. So when dieting you need to maintain adequate protein intake while simultaneously restricting your calorie intake. 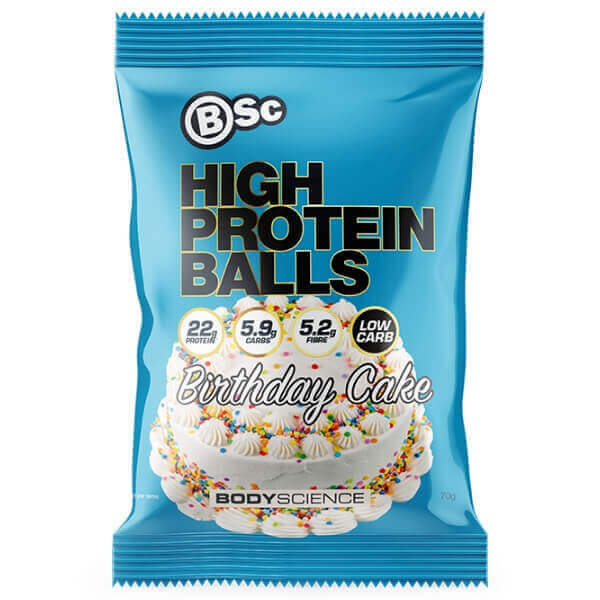 Body Science High Protein Balls are a great inclusion in your diet as they deliver over 20g of protein per serve, but are low in carbohydrates, contain no added sugar, are gluten free and are also a good source of fibre. And as if that’s not enough, they taste amazing, busting the myth that healthy snacks can’t taste good.